[SatNews] Efficiency is coming in smaller and more powerful packages. At Satellite 2012 in Washington DC from March 12-14 at booth 709 Comtech Xicom will reveal a new array of SATCOM HPAs with increased power in smaller and more efficient packages. Comtech Xicom will be showcasing a number of new products that increase linear power in smaller packages with greater efficiency. These products are designed for transportable and fixed applications where size weight and power are a critical factor in mission success. 50 Watt X-band SSPA weighing less than 10 pounds. 40 Watt High Efficiency Ku-band BUC in the same configuration as the 50W X. 20Watt Ka-band BUC in 18 pound package. 400W high efficiency Ku-band TWTA in the size weight and power of a typical 200W system. 750W high efficiency Ku-band in the size weight and power of a typical 400W system. 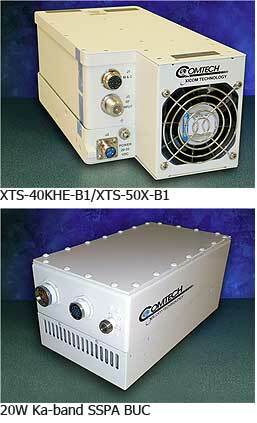 Compact Ka-band BUCs with more than 100Watts of linear power. Rack Mount amplifiers featuring LCD touch screen control interface. 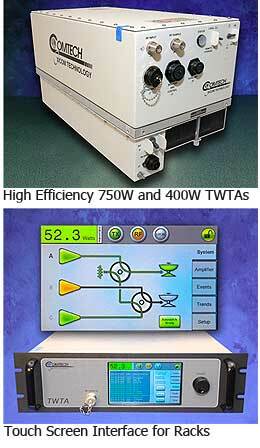 Xicom offers a broad array of TWTA and SSPA products including new high power, light weight, outdoor systems.